Follow winding shelf road to spectacular natural arches. 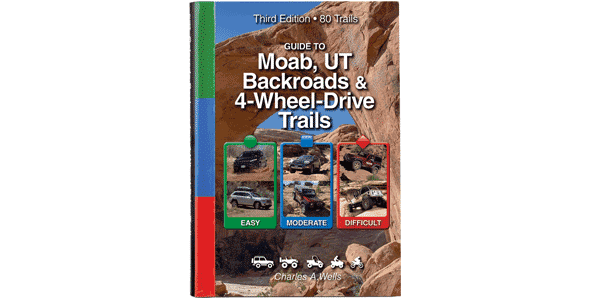 One of the most popular mountain bike and 4-wheel-drive trips in Moab. Lots of traffic on weekends. Drive slow to minimize dust, especially passing bikers. Stunning views as you cross a high winding shelf road after one mile. Short hike to bridges. The bridges are not apparent until you get close and look down. Camp only in designated sites. You must carry and use a portable toilet if camping. To view bridges from the bottom, see Bull Canyon, Trail #24. Minor embedded rock and possible washouts after storms. Suitable for most moderate clearance SUVs. Possible large new roads for drilling activity may be confusing.